Next-gen Honda Accord goes turbo-only, next-gen Honda Accord Hybrid confirmed. Honda Motor President & CEO Mr Takahiro Hachigo confirmed at the Honda Meeting 2017 that the next-gen Honda Accord would debut this year. A day later, Honda announced powertrain details of the 2018 Honda Accord. The next-gen Honda Accord will ride on the same global platform as the Honda Civic and Honda CR-V, and have a 1.5-litre turbocharged four-cylinder petrol engine under the hood in the base configuration. High-end models will utilise the 2.0-litre i-VTEC turbocharged four-cylinder petrol engine instead of the current model's 3.5-litre naturally aspirated V6 petrol engine. Both models will have a 6-speed manual transmission as standard, but Honda will offer a CVT option in the 1.5-litre engine model and an industry-first (for an FWD sedan) 10-speed automatic transmission option in the 2.0-litre engine model. Honda will produce the turbocharged engines, the 10-speed automatic transmission and the continuously variable transmission in the USA. 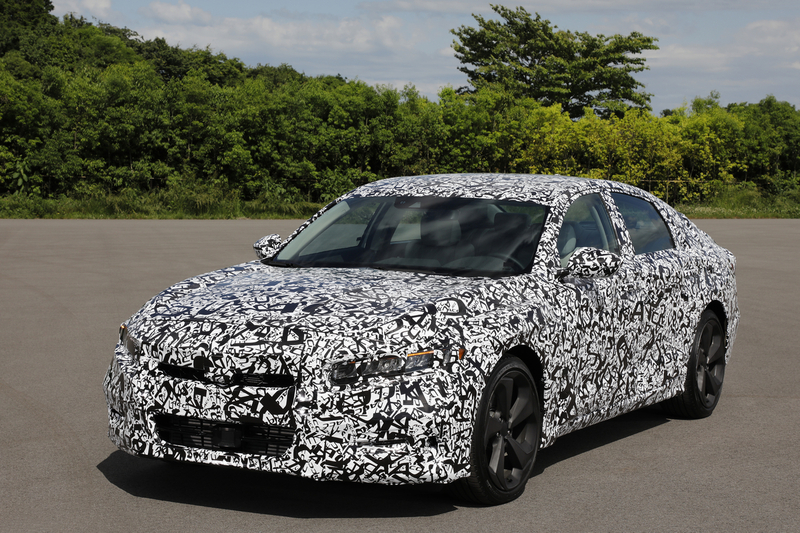 Honda has confirmed an all-new Honda Accord Hybrid as well. The electrified variant will feature an all-new version of the company's two-motor hybrid system. 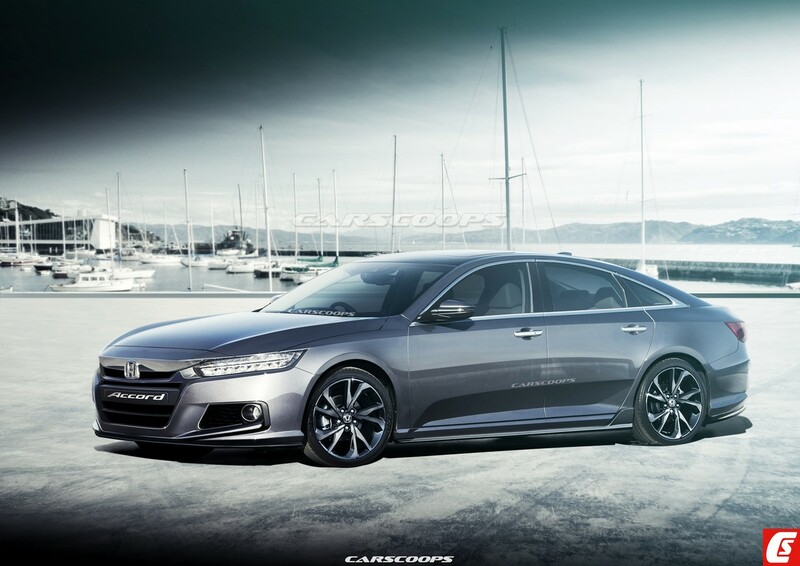 The ninth generation Honda Accord's design is not very eye-catching, but the tenth generation Honda Accord should turn heads if it looks as illustrated in the rendering (below) from Carscoops. Created using the latest spy shots, the rendering indicates that the redesigned Accord will have a grander look. The more aerodynamic design would also improve the efficiency of the car. What we see here is a longer, wider and a low-slung next-gen Honda Accord with a notably sleek glasshouse and a fastback roofline. The 2018 Honda Accord will debut this fall (September - December), and Mr Hachigo has confirmed that the U.S. market will get it first.